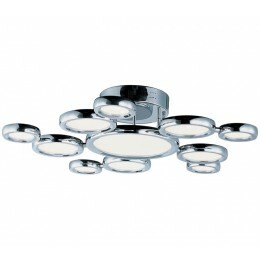 A series of round Die Cast rings, finished in Polished Chrome, are edge lit with high quality LEDs. Many of the rings are adjustable, allowing for unique design arrangements and light to be directed where needed. 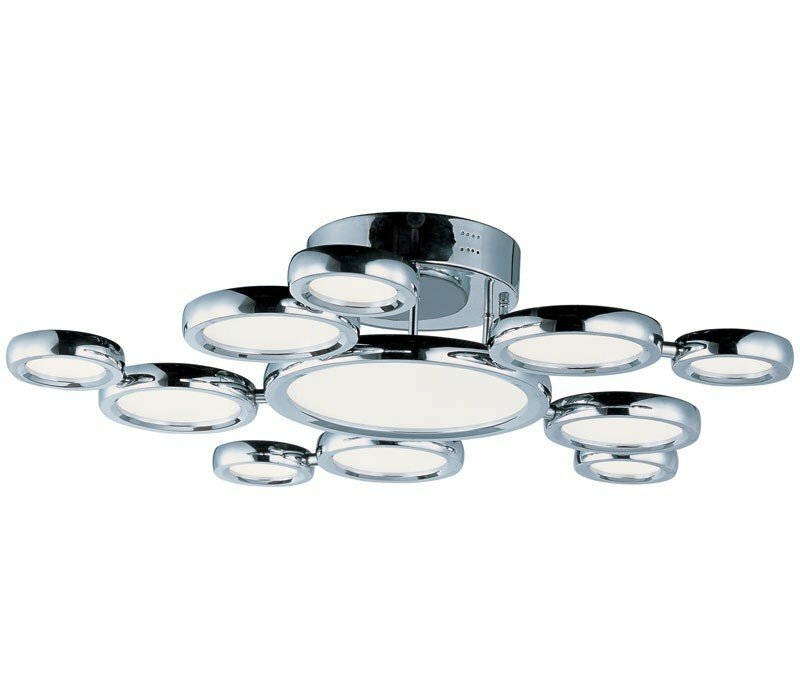 The ET2 E21146-01PC Timbale collection Pendant Lighting in Polished Chrome uses LED light output and brings Modern style. This item is 6.25"H x 32"W x 32"L. The wattage is 110. The ET2 E21146-01PC requires 11 bulbs (included). Additional Information: Shade-White.